Lovingly hand crafted, and carefully made to measure. Our understanding of wood and stone runs deep. Established in the late 1980s, Trunk is a family run business specialising in natural stone and bespoke wood flooring. Our design and installation teams work all over the world, on all kinds of projects large and small. We have two dedicated plants in Ireland, where all our wood and stone products are designed and manufactured to the highest possible standards, one project at a time for one customer at a time. Each Trunk project is a true one off, hand made and made to measure. Our understanding of the natural materials we work with is second to none. We know all the whys, wherefores and nuances of wood and stone, and have the skill and knowledge to transform your project from a from a good one to a great one. With over 20 years experience in wood and stone manufacture, Trunk leads the way in natural surface design and development. Trunk projects come to life through a happy marriage of the old and the new, designed using the latest software, then honed the traditional way, in the skilled hands of accomplished craftspeople. 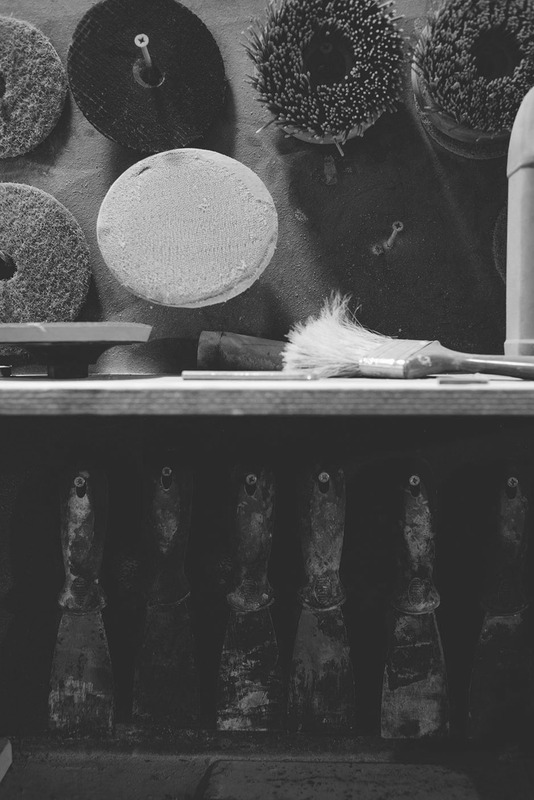 Our close-knit teams have flair, aptitude and commitment, and a rare mastery of their materials and tools. 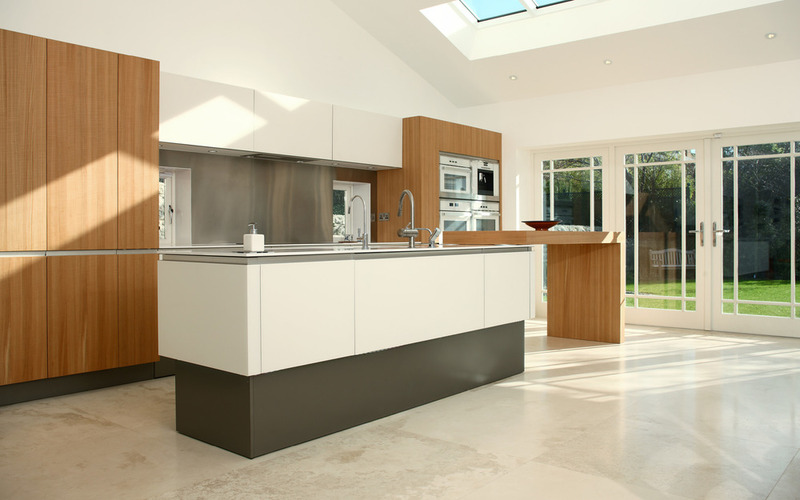 We regularly work alongside architects and interior designers, sharing their vision, ambition and high expectations. There are few things in life you can call a joy forever, but we’d like to think a Trunk floor is one of them. 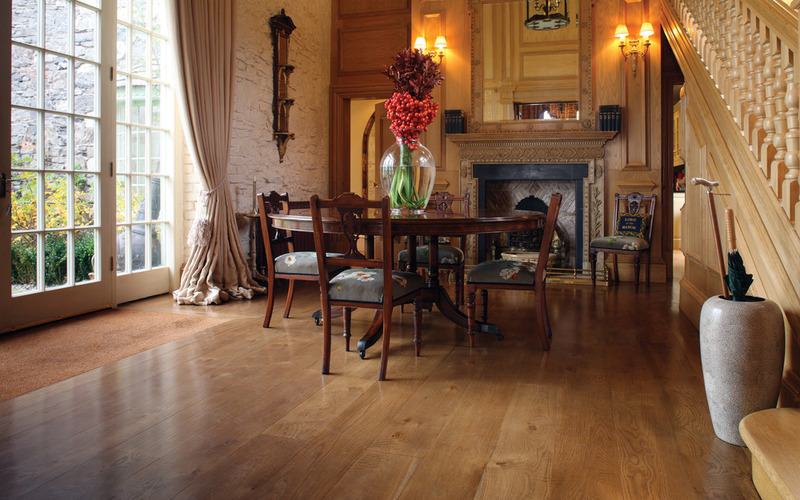 Our hand-made floors are timeless, get better with age, and looked after properly, will last you a lifetime. With over 20 years experience in wood and stone manufacture, Trunk leads the way in natural surface design and development. We take deep pride in our impeccable design and craftsmanship, thorough end-to-end service, and friendly rapport with architects, interior designers and customers. Our wood floors are as diverse and individual as our customers. That’s why we make them to measure, one at a time. Contemporary or classic, restrained or striking, whatever your design scheme, a wood floor by Trunk will enhance, complement and complete your look. We offer a full service from planning to finishing, so you can be sure every detail dovetails beautifully. And of course, we treat all wood with the utmost love and respect. Each piece has an innate, natural beauty, which we strive to bring out in every floor we make. We offer a choice of over 100 finishes in an extraordinary range of textures and tones in natural oils and lacquers. And if you still can’t find what you want, we can we can tailor a special finish to your specific requirements. We can supply wide, narrow and unusually long lengths of up to 4m. We lay made-to-measure parquet patterns in herringbone or chevron. We create bespoke joinery to match your floors. We can supply and install or just install. But whatever we do, you can be sure we’ll do it perfectly. small but telling details that make all the difference. Limestone, marble, slate, travertine, sandstone or basalt. Polished, honed, antiqued, tumbled or natural. If you need a specific material or finish for your dream design, we’ll leave no stone unturned until we’ve secured it. We also supply and fit specially commissioned one-off pieces like vanity tops or bath surrounds, small but telling details that can elevate a project from good to great. Each job we undertake is as varied as the stone itself, but one thing always remains the same, our determination to realize your precise wishes, and to bring you uncompromising quality and service. Whatever the site, scale or style, Trunk’s bespoke wood and stone products can lift your project out of the ordinary. there’s simply nothing like bespoke. From contemporary urban living spaces, to period country homes, to new builds or refurbishments, whatever the site, scale or style, Trunk’s wood and stone products can lift your project out of the ordinary. Because they’re designed and manufactured to your specifications, you can order exactly what you want in terms of materials, finishes and installation. Keep things clean and uncluttered or more expressive and decorative… we can achieve any effect you ask us for, or we can contribute ideas of our own. As well as all kinds of floors or feature walls in natural wood or stone, we can create bespoke commissions to add that special finishing touch. Anything from a matching door surround or skirting board, to table top or cabinet. Whether you want to complement or counterpoint your flooring, we can tailor make something for you that fits the bill perfectly. We can realise your interior design ideas, whatever they may be. Or even contribute some of our own. At Trunk we believe that every project is special. We’ll do everything we can to exceed your expectations, working with you to create beautiful, natural flooring that lasts a lifetime and transforms your space. We take exceptional pride in our work, so that you can be proud of your floor for years to come. We can realise your interior design ideas, whatever they may be. Or even contribute some of our own. Whatever the site, scale or style, Trunk’s bespoke wood and stone products can lift your project out of the ordinary. We take wood and stone flooring one step further.